Both cards are wonderful! I love the banner! Love your cards, the cupcake one is the sweetest!! LOVE the cupcake card with the banners...so cute!! And the Be Brave is so simple and beautiful and elegant! Lovely!! Both cards are wonderful, I feel like I am in an ice cream parlor for the 1st card and card 2 is very elegant. I just LOVE your cards! The first one is just the perfect papers - love how you cut the banner paper in the corner and used the cherry paper below, and also the sparkle on the cupcake/stand. The second is so sweet and simple. Fabulous coloring and I really love how you used the ribbon. Your cards are beautiful Anita! Your cards are beautiful! I love the fun banner on the first one! Loving both of the new releases. The cherry sentiment is tooo funny!! Super cards. I love both cards! TFS! Oh Anita, both of your cards are so lovely! Wonderful inspiration! Wonderful cards, love your coloring, Glad to be on the Stamptacular Team with you. hugs, Frances. What a darling card! 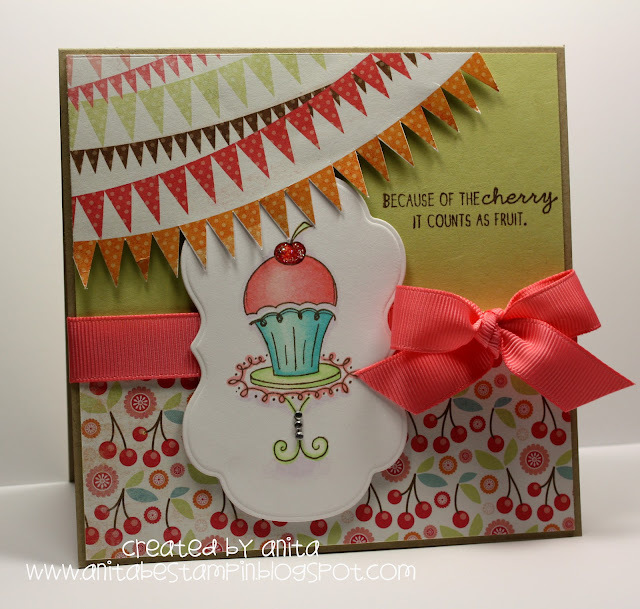 I just love the simple and clean design on your cupcake card! Such cheery colors! 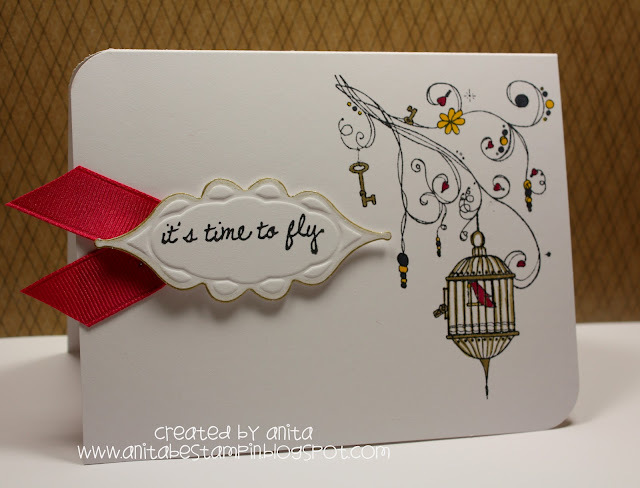 So glad to have you on board at Stamptacular! Can't wait to share your talent with the world!